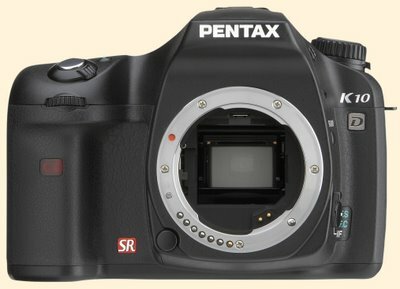 In a major move for Pentax, the company has announced its first high-end digital SLR, a compact but high-quality camera suitable for serious amateurs, art photographers, semi-pros, and professionals. The new camera competes with the Sony Alpha 100, Canon XTi and 30D, and Nikon D80 and D200. 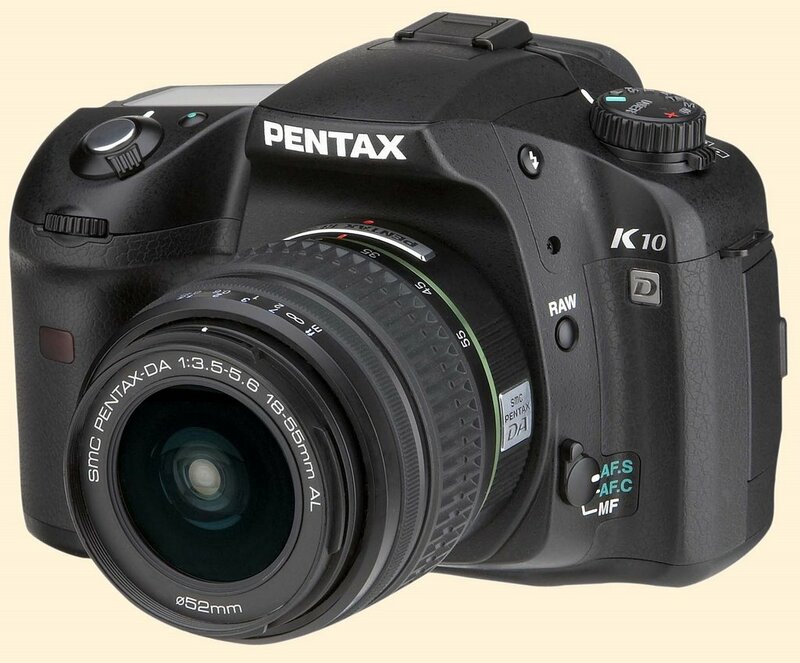 It's called the K10 "D."
• 22-bit A/D conversion: Highest of all existing DSLRs. 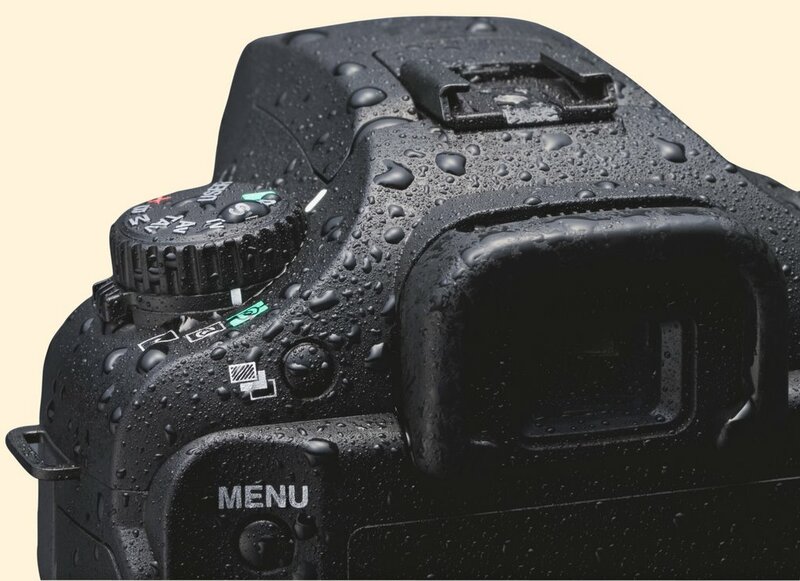 • Full weatherproofing: Seventy- two weather seals and gaskets in the body make the camera effectively waterproof. Though probably not immersible, with appropriate lenses the K10 should be able to be used in the rain safely. • Built-in Shake Reduction (SR): Usable with every lens Pentax has ever made, including all manual-focus lenses (lenses from the A-series onward will meter and aperture-couple). 2.5–4 stops improvement is claimed, greater than the improvement claimed for the SR in the entry-level K100. • Removeable battery grip: The D-BG2 battery grip doubles the life of the camera’s rechargeable lithium-ion battery. It is also weatherproof like the camera, and, importantly, features full vertical-hold controls: a vertical shutter-release button, preview lever, two control dials, AE-lock button and green button (more about that below). • Dual dust-elimination system: Utilizes both a vapor-deposited fluorine compound coating on the sensor to repel dust, and high-speed physical vibration of the sensor itself. 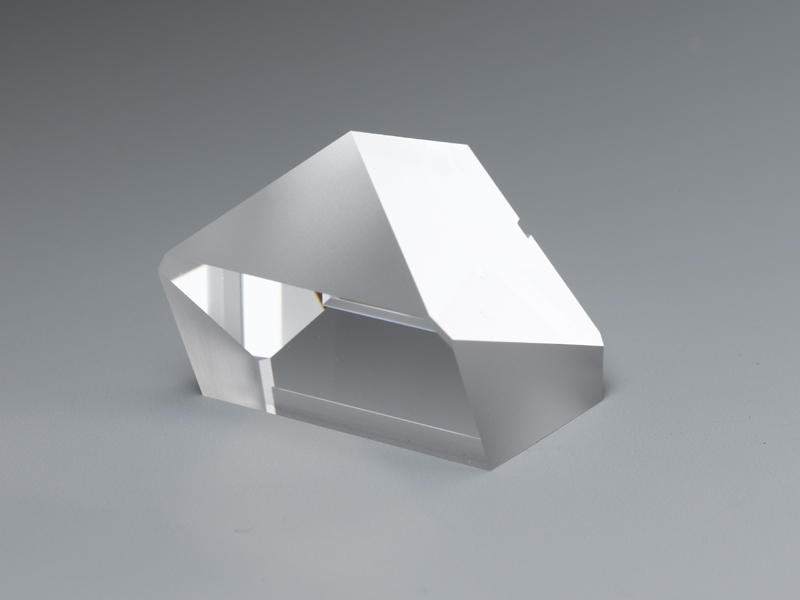 • Large glass pentaprism: Ninety-five percent coverage and .95X magnification. Diopter adjustment is –2.5 to +1.5. A couple of other nifty features include a stainless-steel body, 11-point autofocusing, and sensitivity to ISO 1600. That innovative "green button" mentioned earlier enables instant return to program mode from aperture- or shutter-priority, as well as instant return to a metered setting while in metered-manual mode. In addition, the camera is said to be "ready" to use "Supersonic" lenses, presumably a ring-motor-focusing type of lens like Canon's Ultrasonic lenses—but the lenses themselves don't exist yet. The dedicated battery is estimated (as of the latest update today) to allow 500 exposures per charge. There's also a dedicated button (by the side of the lensmount on the front of the camera—see picture below) to toggle instantly between RAW and back. The K10 weighs 28 oz. loaded with battery and a card. Featured Comment by Peter: This gives a good understanding why 22-bit RAW is an advantage. Do you have information on flash sync speed and the availability of a pc sync terminal? I've read a rumour that flash sync is 1/180th and that a pc sync terminal is not included. It seems to me that these would be two "low" points for an otherwise excellent specs list. Ooooh, baby. Weather sealed, light and compact camera with built-in flash. I'm getting one of these. And some of those tiny little Pentax lenses. I guess that's why g-d gave me two kidneys. Unfortunately the Pentax brand is largely invisible to today's market and I don't really expect that to change. But damn this baby really deserves a look by anyone looking for a good entry- to mid-level dslr. It won't be a "giant killer" but it might have a shot at bruising his shin. Looks like at last there is a digital camera for me, to replace (supplement) my getting-long-in-the-tooth brace of LX's. 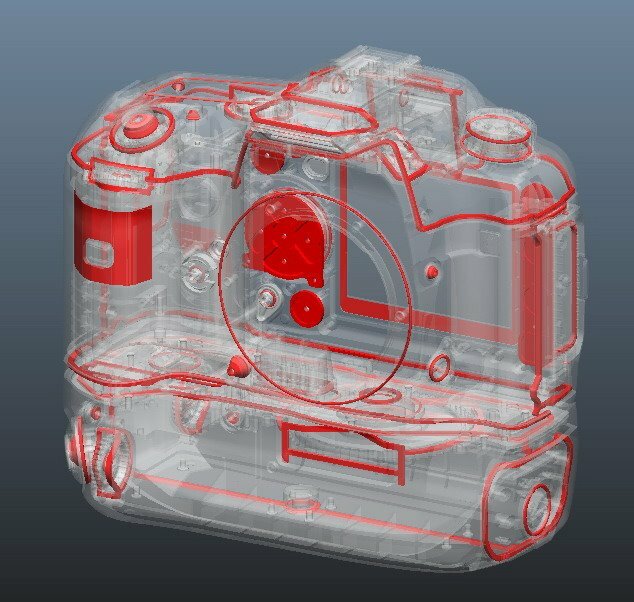 I hope they will make several appropiate focal length prime lenses available (something definitely missing from Nikon and Canon). Mike, can you say more about the 22 bit A/D? That is kind of hard to get my head around. I think it is more than any DSLR / digital back out there. I think the Leica DMR back is 16 bits. When and where can i get one ? How about that new tiny 70mm 2.4. Sweet. Combine that with the new 21 and that is a nice outfit. How much change in light value is there per bit? If it is one stop per bit that is a _lot_ of dynamic range. Detail on a black cat in the shade and detail in sunspots in the same exposure perhaps? If it really has that much range and it has as much under exposure latitude as overexposure latitude, then could you underexpose by 5 stops and get the same shadow detail as a properly exposed 12 bit file? That would be like "pushing" it to 51200 ISO. That seems a bit unlikely, but I'm really eager to see what this really means. Maybe what this means it that the Linearization Table is more liniar (as opposed to logarithmic) than most. Another exposure mode offered by the K10D is Shutter & Aperture-Priority AE (TAv) mode, which is designed to automatically select the most appropriate sensitivity for a user-selected shutter-speed & aperture combination. " I'm intrigued. I do have a Pentax film camera (an old point-and-shoot my dad gave me in the nineties), which I'm pretty comfortable with. Besides the anti-shake, the weather-proofing is certainly appealing. I have to wonder how durable the anti-shake mechanism will turn out to be. It seems to me it might be one of those things that goes on the fritz too easily. weather sealed and those limited pancakes. this won't replace my canon but this is what i want for street shooting. Colour Depth 8 bit (JPEG) or 12 bit (RAW) - what about the 22 bits? Oh, I see on another page that there is a 22-bit A/D converter.
" The K10D incorporates a high-performance A/D converter, which faithfully converts the analog data collected by the CCD image sensor into digital data. With the highest resolving power (22 bits, or 4.2 million gradations) among all existing digital cameras, it offers a digital-conversion capacity 1,024 times greater than conventional 12-bit, 4,096-gradation A/D converters." So what exactly does 22 bits get you here? Does this mean that you can change the lookup table or something? I also see "Preview Method Digital Preview/Optical Preview" - Digital preview ??? That's VERY interesting, or a typo No it's not a typo , it reads "Choice of two preview functions (digital/optical)" on the features page. I'm very interested in this. "Storage Media SD memory card, SDHC memory card" - @!#$%&!!! I see they spell Nederlandse "Netherlandish" Usually the English word for that is "Dutch"
"Language English, French, German, Spanish, Swedish, Netherlandish, Italian, Russian, Korean, Chinese (Traditional/Simplified), Portuguese, Japanese"
Under Digital Filter they list B&W (4 type), Sepia (3 type), Colour (18 type), Soft (three-level amount adjustable), Slim (+/- 8 level amount adjustable), Brightness (at playback mode) Is "slim" one of those Katie Couric filters? The K10D incorporates a high-performance A/D converter, which faithfully converts the analog data collected by the CCD image sensor into digital data. 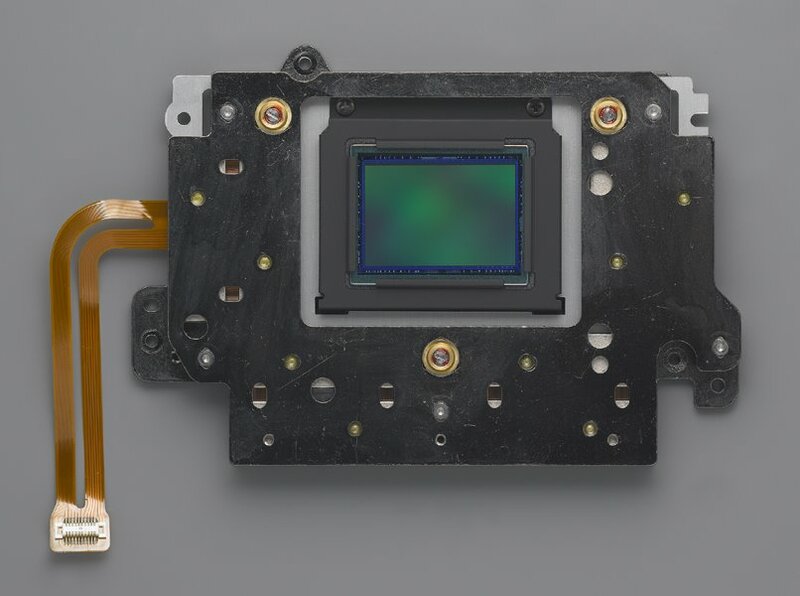 With the highest resolving power (22 bits, or 4.2 million gradations) among all existing digital cameras, it offers a digital-conversion capacity 1,024 times greater than conventional 12-bit, 4,096-gradation A/D converters." That's not to say I am not impressed, looks fantastic and about the only thing that has come along to ever make me consider something other than Canon, mostly if it were combined with the new "pancake" lenses. Digital "street" nirvana springs to mind. Sorry I am loosing it, there are too many new things! Why should I buy a Canon 5D with all these 10mp's coming out? antishake, which to me is the smartest (and a-posteriori most obvious) improvement seen on digital cameras. The K10D seems to have the best specifications: a bright viewfinder, weather sealings, no nonsense feature and a lot of minor interesting ones. Not only the Shutter-Aperture priority mode, but also the Auto-ISO with the possibility to chose the limits for its range. So far, the antishake feature of the alpha was somewhat balanced by the better noise performance of the Canon CMOS sensor. With antishake you probably gain 2 stops, with the better S/N of Canon you probably gain only one, but with the advanage of reduced exposure time hence reduction of the subject motion blur. 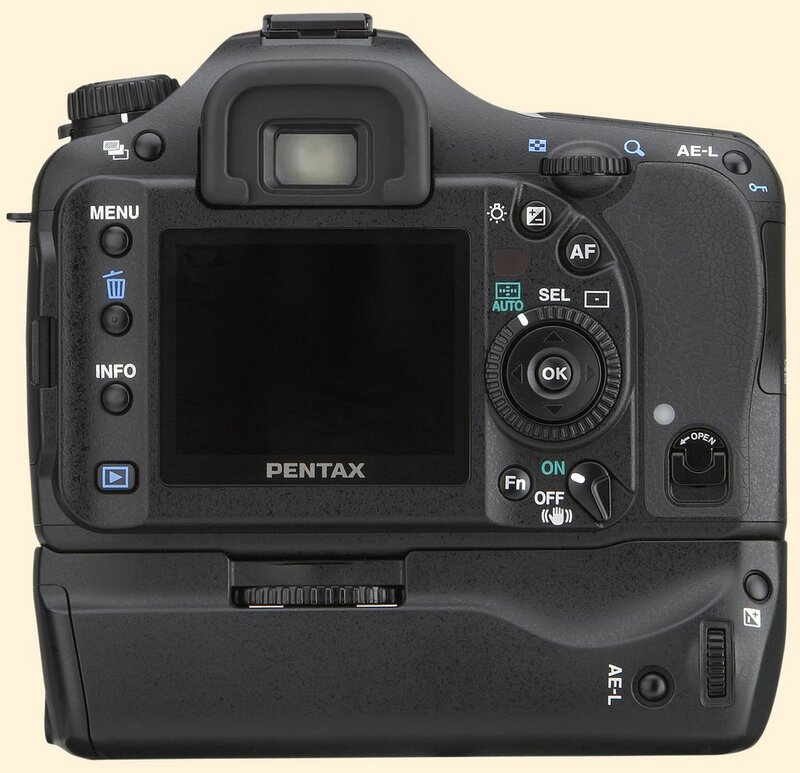 But if Pentax will prove to have a competitive sensor in term of noise, then it will be a much better value with respect to the market leader (Canon Rebel). To bad I already have one.. The only thing I really don't understand is the 22 bits ADC. Compare what specs and features the latest sub-$1000 DSLR bodies have with what the first one, the first digital Rebel, had. That's amazing progress in such a short time! Re the featured comment on 22-bit RAWs: The RAW files the camera produces are still 12-bit. Says so in the specs. There will probably be some improvement, but not quite as much as you'd think. looks very nice. I would certainly consider it if I was looking for a new camera. Man, these guys at Pentax don't seem to put out so many new products as Canon or Nikon, but they sure do try hard to get them right each and every time!! They are listening, that's for sure. Living in a country were it's far easier to get stuff from the two big ones, you feel compelled to stay with them just to keep your life easy, but I would go for this one and the 21mm lens and forget about gear for a long while. Some sources suggest Pentax is using the NuCore NDX2240 processor for the 22 bit sensor sampling. It employs oversampling technology. You may be familiar with that in CD players. This might also be the first camera to support the DNG format in camera. Probably not my place, but just wanted to point out to avoid any confusion that the article on Luminous Landscape linked from the featured comment is refering to 12bit RAW data. 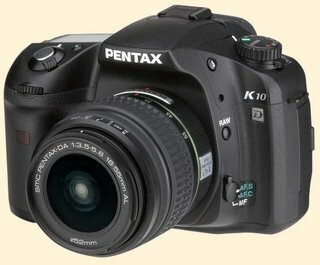 This K10D also uses a 12bit RAW file - so you will not end up with 4194304 gradations per channel in your levels!! If you did I think the guys over at PhaseOne etc. would be scratching their heads, even their $30k backs only manage 16bit. 22bit ADC is a different beastie altogether, and it remains to be seen what, if any, benefit this will give. I could mumble on for ages speculating how they will average out and re-sample and how that might improve tonal response, but the fact is I don't know - and I doubt many do. Got people talking though, eh? Right, I will shut up now. C'mon Mike, come back to Pentax! Whatever, yes I do have the Pentax istDs and yes, I want to have this one, too! Amazing camera, and a surprise from Pentax, giving the never-ending chain of 6mp me-too's they were selling. What I'm affraid of is the SENSOR. To me it's obvious it's Samsung, and it translates as NOISE. I hope I'm wrong, otherwise it's a real killer. Pentax has not specified which sensor they're using, that's true. The logical choice would be Sony, of course, like all previous production Pentax dslr cameras - the same sensor that's in the D80 and Sony A100 (D200 has a slightly different version of this). However, the quoted specs seem to have a pixel count different than those cameras, so it MIGHT not be the same sensor. As Albano Garcia says, it might be a Samsung, given Pentax' partnership with them. All bets are off in that case; nobody knows how good it'll be. I guess our questions will be answered in the next month or two. Scratch that last part. 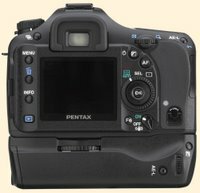 Now that the official stuff is up on Pentax' web site, the resolution quoted is the same down to the pixel as Nikon's D80. So I figure the same Sony sensor. Wow - a true enthusiast's DSLR! I started out in 35mm with a Pentax SP500, and stayed with them up through a pair of MXes. I had to switch over to big N when I got my first PJ job (I've long since left the field). I stall have a soft spot for Pentax, and have a small sack of H3 bodies and Tak/Super Tak glass for casual retro shooting. I can see the K10D has great potential to budge me from my current Nikon DSLRs for everything digital I do except for RR action shooting. Yeah, I'd prefer an M8 - but it sounds like I'd be able to get a K10D and a really slick three prime outfit for a very reasonable price. hm, to me all digital cameras look like clones. Unfortunately, you make a camera too different from everyone else's and it gets bad reviews and people don't like it. Pentax made some different cameras in the 90s, as did Minolta - but it's notable that they went back to more conventional layouts. They're all the spiritual decendents of Canon's T90, anyway, the first handgrip and control-wheel SLR. Hmmmm. Sounds like a worthy supplement to my Pentax LX and MX. The ability to use my stable of lenses is appealing. Imagine low light shooting with a 50mm f1.2! Yes! Pentax, how's about interchangeable screens and viewfinders? How about low-light shooting to 4 or 5 MINUTES autoexposure like I can do with my LX? I would not worry about the sensor. Sony makes the sensor and this is one of the best on the market. This is the same as the Nikon and Sony Alpha. The more important element is how they perform the noise reduction and processing.